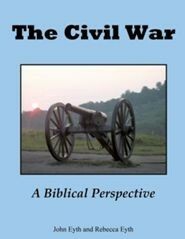 With the massive number of casualties, Civil War medicine became a critical part of the entire conflict. At the start of the conflict, the United States Army medical staff consisted of only eighty-seven men. Northern officials decided to enlist the help of female nurses to serve the medical needs caused by the war. By the end of the war, over eleven thousand doctors had served in the army. A vital component in the North to assist in caring for sick and wounded soldiers was the U.S. Sanitary Commission. This nonmilitary organization was formed in 1861 by civilians to assist the government’s efforts to care for the men. Over the course of the war, this organization raised more than $7 million and distributed more than $15 million worth of supplies. The most famous nurse serving the Union Western army in association with the Sanitary Commission was a widow named Mary Ann Bickerdyke. The soldiers fondly referred to her as Mother Bickerdyke and she cared for the troops through nineteen battles. The Civil War was the first major conflict in which photography was extensively used. Photography was a relatively new invention, only in existence approximately thirty years before the Civil War began. One of the most famous photographers of the war was Mathew Brady. Mathew Brady’s New York City and Washington D.C. studios, which he began in the 1840s, soon became very well-known. It did not take long for Brady’s name to become synonymous with the growing popularity of photography. By the time of the Civil War, Brady had nearly lost his sight. Many of the photographs attributed to him were actually taken by his assistants. Some of the most well-known photographs from the Civil War were taken by Mathew Brady and two of his assistants, Alexander Gardner and Timothy O’Sullivan. The power of photography was fully realized after the Battle of Antietam. Mathew Brady and his assistants took vivid photographs of the battlefield and Confederate dead. One month later, Brady opened an exhibition in New York City showing the horrors of war through his images. After the war, Mathew Brady was suffering financial hardship, so he sold his collection to the U.S. Government. This decision was key in ensuring the preservation of the photographs for future generations. Civil War photography has had two major impacts. The first great impact is that the Civil War was the beginning of battlefield photography. In every major conflict involving America since the Civil War, photography has been used. Battlefield photography has caused history to be documented and preserved in a unique way. The second impact is that photography thoroughly documented the people and places involved in the most crucial period of American history. The work of pioneering photographer Mathew Brady is one of the main reasons for the development and scope of wartime photography today.